Welcome to the second annual installment of “all the books I read in my sweats” (and pajamas, and sometimes yoga pants) in 2017, in the exact order in which I read them of course. Because why would you bother making a list if you didn’t put things in order? It’s a classic for a reason. If you haven’t read it, you should. 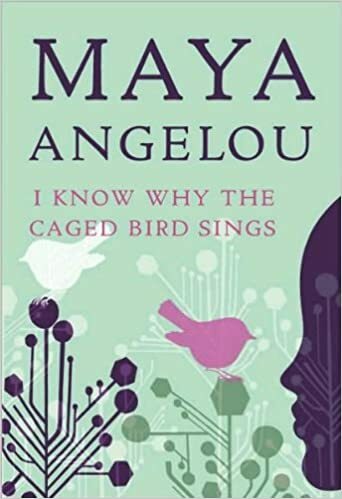 This was my first foray into Maya Angelou, and I will definitely put her other works on my “to-read” list for the future. I really loved, and really needed, this book at this particular phase in my life. 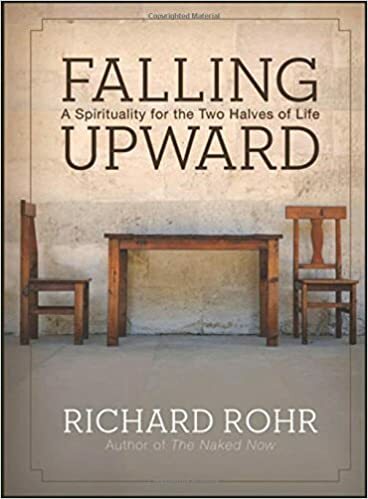 Richard Rohr is a Franciscan priest at the Center for Action and Contemplation in New Mexico. I call him my favorite monk, but I’m not sure that he’s really a monk. But I call him my favorite monk, so there. I now subscribe to his daily emails and have stalked out most of his public speaking appearances on YouTube and all of the podcasts I can find. He is a wise teacher and I am a total groupie. I might need an intervention. Anyhow, this is a book about spiritual development, if that is something you’re interested in (which I am!). There is a lot of wisdom in this book. I just bought my own copy and plan to read it again. I really liked this one, as did most of the people I know of who read it. 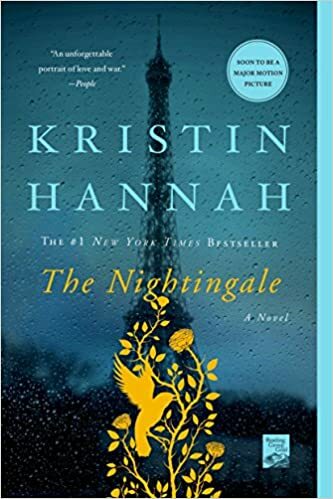 I have not been a big fan of Kristin Hannah in the past because I find some of her other books a little cheesy, especially the romance parts. Eeew…romance. Anyhow, this one had lots of tragedy to balance out the romance. I’m all about tragedy. The themes in this book are very similar to Sarah’s Key, which is a fantastic book as well. In fact, at the end of the book Kristin Hannah acknowledges Tatiana De Rosnay, the author of Sarah’s Key, for helping her with her research for the book. This is a nice long one if you’re looking for something to sink your teeth into (with a little cheese on top). This book had five-star potential, but I subtracted one star due to the cheese. This book was a real page-turner, but also I didn’t really like it. Which is weird, I know. Sometimes I will read a book like this and it is suspenseful enough to keep me reading, but the whole time I am also harshly critiquing it. My major issue with this book is that the author seemed to give the reader almost too much information about what was going on in each character’s head, which kills some of the suspense. The book is written from multiple points of view, and the author seems to just blurt out each character’s motives and internal dialogues. Some of the twists and turns in the plot were a little lame and predictable. Just my $0.02. 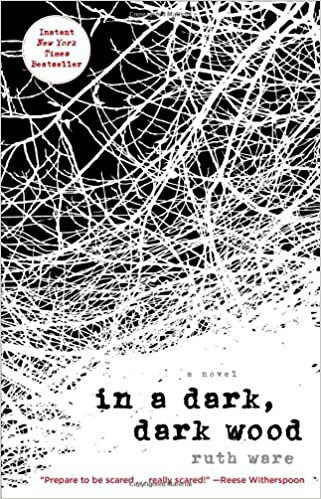 I had high expectations of this book because of all the praise and attention it garnered, but it wasn’t my favorite. 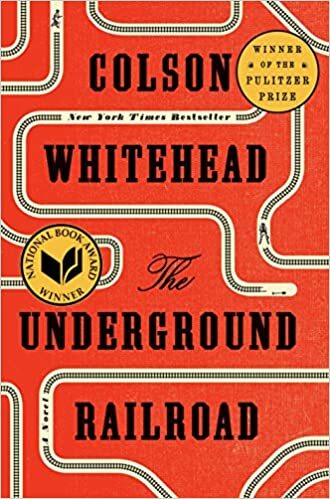 In the context of the pre-civil war era, the author tells the story of Cora, a young black slave attempting to flee from slavery via the underground railroad, which is imaginatively contextualized in this book as an actual railroad. I felt a little bogged down by this book for some reason. I preferred The Invention of Wings (which I read a few years ago) which is set in the same time period with similar themes, and just blew me away. This is a book that will challenge the way that you think about heaven, hell, and God. Is heaven a literal place? Is hell? Isn’t it incongruent to think that God would give us never-ending grace and forgiveness in this life with unlimited chances to believe in Him, but as soon as our physical bodies cross over into death, those who didn’t believe burn in the fires of hell? Or that God’s grace is only available to humans during these finite moments that we live in our physical bodies on Earth, despite the fact that those of us who are from a faith tradition typically believe in an infinite God who is beyond what the human brain can comprehend? I myself am doing some deconstruction of my faith and found this book to be a breath of fresh air, a new way of looking at things without throwing the baby out with the bathwater. I will read this one again. 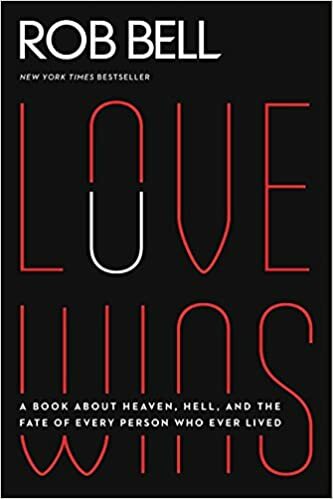 Rob Bell got a lot of flack for writing this book, with many calling him a heretic. That makes me like him even more. 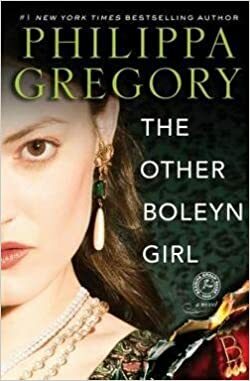 This is a historical fiction novel set in the era of King Henry XIII in the English Tudor Court. This book was an excellent escape from everyday life. It was scandalous without being too smutty. When I first started reading I was a little put off with the treatment of women in that era, though I realize this is just a function of the time period. Still–holy misogyny, Batman. I read quite a bit of historical fiction but have never read anything set in this time period, and it was terribly fun to read. There were a lot of good things about this book that I really admired. However, overall I felt that it is was missing something. 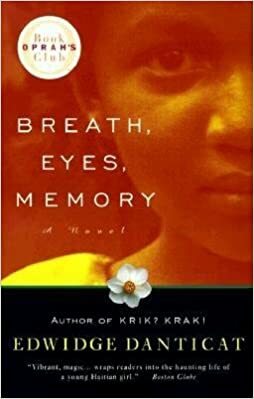 I was interested in reading it because the author is Haitian, and with my recent time in Haiti I have been wanting to read more and understand more about the culture, and was hoping to gain some of this unique perspective from Danticat. I read that she started writing this book when she was 18 years old, and it was published when she was 25, which is just incredible. So some of my issues with the book may have to do simply with the fact that she was not fully developed as an author at the time she wrote it. I felt that it lacked a cohesive plot, and the pacing was perhaps a little too quick and left me wanting for a little more in the way of character development. The story itself was pretty sad, so I wouldn’t recommend reading this if you are down in the dumps. That said, I am interested in reading more of her work and, despite the drawbacks I just mentioned, I was engaged in the book. It left me wanting to understand more about Haitian culture, and to read more from this unique author. I love the Enneagram. It is such a neat tool for self-discovery and personal growth. Though the Enneagram sounds really “woo woo” and “out there” and “new age”, it’s not. It is an ancient personality typing system which can be used to understand yourself and others better. If you have ever taken a Myers-Briggs personality test and enjoyed learning more about yourself in that way, then you would probably enjoy this as well. It is strangely accurate. I’m a “one” on the Enneagram, by the way. 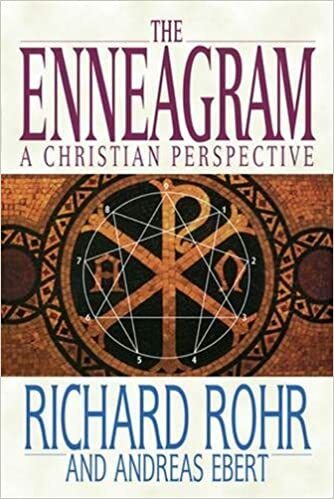 This book is written by my favorite monk, Richard Rohr, but it is not my favorite book on the Enneagram. It is a little heavy and wordy. If you are interested in learning more about the Enneagram, I suggest The Road Back to You by Suzanne Stabile and Ian Cron instead, which is easier to understand for beginners and gives an excellent overview of all the types (there is also a Road Back to You podcast, available on iTunes, which I enjoyed also; and Ian Cron has an additional podcast called Typology). Of note, my husband started reading up on the Enneagram, since I have been talking about it for a whole year, and he is sold on it too. Just the sweetest, most touching book to read. 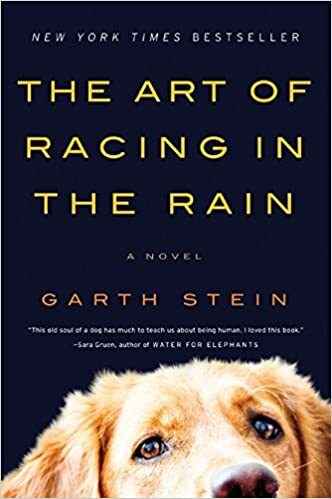 Written from Enzo’s point of view–a wise, funny, and beautiful dog who tells the story of his family’s love, loss, and rebuilding. You will fall in love with Enzo. One of my favorites this year. 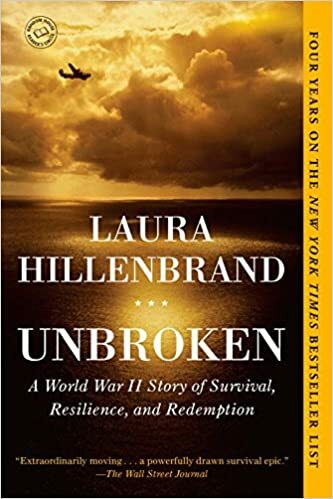 This book recounts the true story of Louis Zamperini, a running prodigy turned WWII pilot whose plane went down, leaving him and his com padres stranded in the middle of the ocean. This book is, in a word, stunning. The story is rich, interesting, and well-paced. The writing is gorgeous. There is a good reason that this book is a bestseller-turned-major motion picture. Highly recommended! Another illuminating read from Rob Bell. 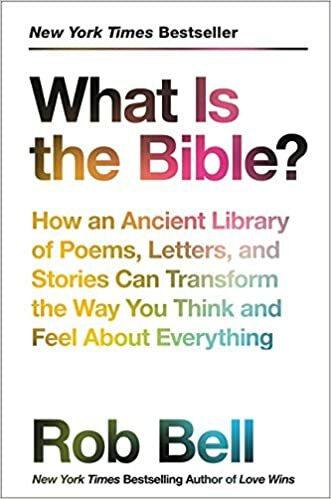 He offers a fresh perspective on the Bible, discussing how we can look at it as true without holding tightly to some of the strictly literal interpretations that we are used to hearing in Christian circles. It’s on my Kindle, and I plan to read it again. 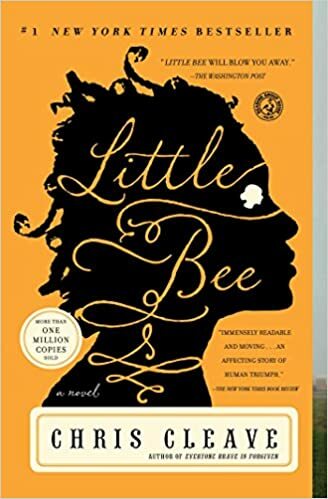 This excellent book is about a Nigerian refugee, Little Bee, whose life tragically intersects with Sarah, an English woman with a troubled marriage. It was sad, tragic, hopeful, tender, all of it. I loved it. For this one, I picked up the audio book format, which I sometimes do if we have a long car trip or I need to spice up my commute. 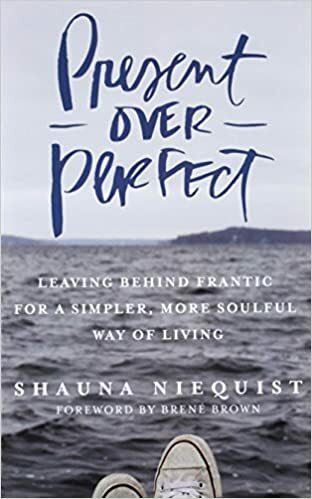 I enjoyed hearing about this author’s personal journey for a less harried, more peaceful life, letting go of the “hustle” and need to prove and please. She is warm and relatable, but the book was a little on the long side for me, with some of the material becoming repetitive after a while. It was a good listen, though I’m not sure if I would have had the patience to get all the way through it in tradidional book form. Anne Lamott is so awesome. In all of her books, she manages to show up as her neurotic, darkly humorous, borderline suicidal, imperfect self in the most endearing way. She is wickedly funny and profoundly wise. This book is a collection of her insights related to her writing process (spoiler: she approaches writing with all of those same neuroses and imperfections, and uses them instead of fighting them), weaved in with her insights about life. I laughed out loud, a lot, while reading this book. Even if you are not a writer, there is a wealth of wisdom to be mined from this book. Meh. 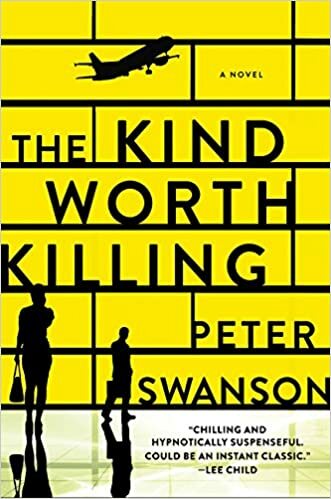 This was another one of those books that sets itself up to be a suspenseful psychological thriller but lacked the depth necessary for me to wholeheartedly recommend it. Fluffy beach-read at best. I would put this in the same category as The kind worth killing, discussed earlier. 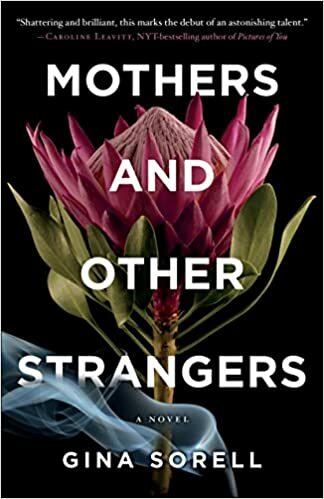 This book is a riveting memoir about the author’s childhood and coming-of-age in a polygamist cult. This book blew me away. I can’t stop thinking about it. I don’t want to tell you anything else about it because I don’t want to spoil the unfolding. What I will say is that it is beautifully written, brave, surreal, and reads more like fiction than a memoir. In fact, most of the time I wished that it was fiction, as no one should have to endure the pain that Ms. Wariner courageously recounts. This book is my pick of the year! 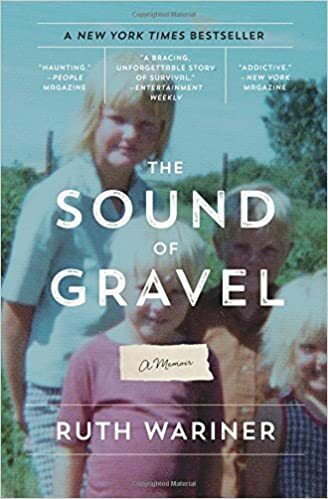 This memoir that had the unfair disadvantage of being read by me after The Sound of Gravel. Just like a mother tries not to compare her children, I tried not to compare this memoir to my previously stated favorite. But I did, I can’t help it. 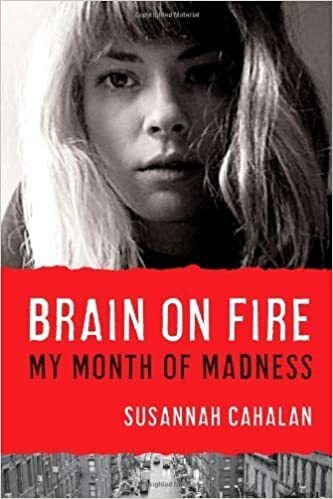 Anyway, this one is a real-life medical mystery, recounting the author’s experience with a rare neurological diagnosis. If you like the TV show House, I predict you will enjoy this book. I felt a little lukewarm about it, for reasons that are not entirely clear to me. I almost liked this book, which was confusing for me. 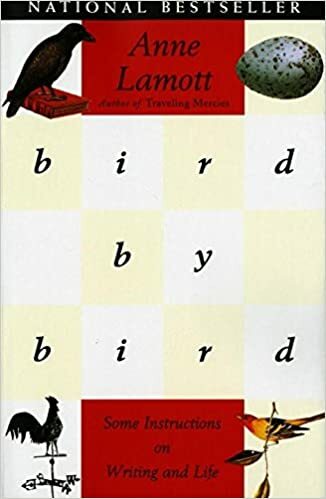 I found the beginning of the book hard to get into, but by the middle I was starting to get invested in the main character, Elsie, as she struggled through her grief after the death of her mother, a selfish narcissist who was largely absent for most of Elsie’s youth. All this fantastic character development, the plot started to thicken and –then she meets her long lost aunt in the last chapter, who gives her all the answers she needed for closure. It felt anti-climactic, almost a lazy way to end it. Oh man, why can’t Jen Hatmaker be my friend in real life? 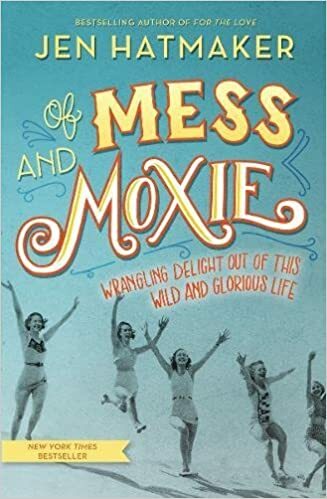 I loved this spunky, honest, and hilarious book of short essays on everything: parenting, faith, childhood memories, failure, grace, girlfriends, Netflix binges, dreams, doldrums, and all the messy parts of life. My favorite chapter was the one on exercise–it had me laughing out loud! This is a really compelling, really honest memoir by Mike McHargue, also known as “Science Mike”. Born and raised in a Southern Baptist evangelical church, he describes his crisis of faith brought on after he studied the Bible through the eyes of a scientist. Not surprisingly, his questions were not well received by his church, his Christian friends, or his family, nor was the fact that he lived as a “closet atheist” for two years. He describes his journey, along with an encounter with God that lead him to put some of the pieces of his faith back together, with science as the glue. I enjoyed it. His scientific insights were enlightening and his honesty was refreshing. Looking through my list for this year, I notice that my reading was a little light on fiction, which is something I would like to read more of in 2018. Talk to me. What were your favorites this year? I want to know your hits and misses this year, of any genre. Let’s build our repertoire for 2018! This entry was posted in Uncategorized and tagged books, reading. Bookmark the permalink. Penny—thank you! I am honored! I will have to watch that tutorial!